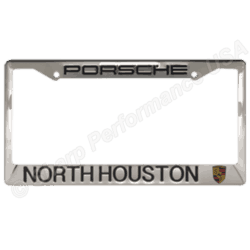 Custom Stainless Steel License Plate Frames. Panel style with raised painted text & color filled background. 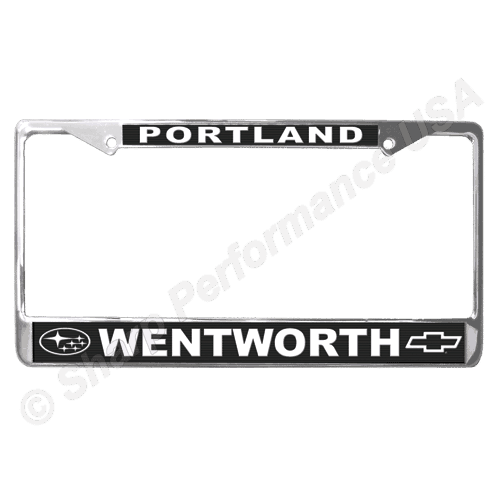 Our stainless steel metal license plate frames are by far the best license plate frame on the market today. Available with either four holes or two holes. Please include all of the following info for us to quote properly. Our companies service B2B customers only. All items are manufactured or customized to spec and sold in bulk for organizations. We do not sell individual consumers directly. 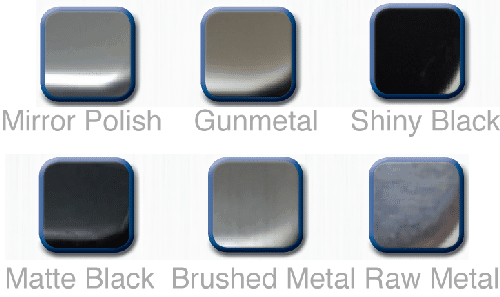 More durable finish ~ Holds up to the elements much better than zinc alloy frames. 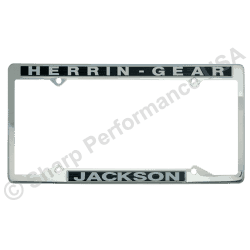 Stainless steel license plate frames look better! Experience & Quality Makes the Difference! Q: Why are prices not listed? A: We manufacture custom products specifically for your company! There are many available options, therefore we prefer to quote orders individually and offer solutions that match stylistically and remain budget friendly. Q: Can I order just one piece? A: Unfortunately no, we are not a retailer. We sell wholesale and in bulk to distributors and organizations authorized to purchase from us. Logo or branded items shown are to show decoration ability. They are not for retail sale. Q: Are all your items listed? A: We have made thousands of different designs for our clients. Some are our factory stock models, some are custom. Shown are just a small sample of our capabilities. Q: I am a car dealer, but don’t see my brand listed. Does that mean you don’t make for that brand? A: We are authorized to make promotional items for many companies, organizations, car dealerships & groups etc. If your brand is not shown, just ask, we will design a product that is custom to your company! Q: What about items you don’t make? Q: What sets Sharp apart from our main competitor? A: We don’t play games! -We will never trick and trap our customers into ordering from us. Our product quality, price, delivery times, and customer service will simply speak for itself. -No hidden fees on our invoices! -We don’t overcharge for shipping. The unit cost is the unit cost. Shipping is the shipping. We don’t treat shipping as a profit center. We want to be your forever vendor, and we will never use tactics described above to get your business. We know once you order from us, you will always order from us. Learn more about our promise to you and what sets us apart. Copyright © 2019 Sharp Performance USA Inc. Copyright Note: The logos featured on this site are not meant to be advertisements. These items are only for sale to parties allowed to use such logos.